While being in property management may seem a lot simpler from those on the inside, on the outside it can seem very complex. If you’re considering a career in property management but don’t know where to start, we’ve got your back. From career statistics to key areas to help you grow, take some time to investigate further into this great career to discover if it’s right for you. Additional tasks can include filing taxes, accounting, and administrative duties depending if the manager has a team of employees (like maintenance staff or leasing agents) or vendors that manage certain tasks. While The Bureau for Labor Statistics (BLS) found that there were 6.7 million mixed multifamily job openings at the end of June 2018, the number of jobs specifically for real estate, rental and leasing has fallen by 18%. With less job advancement opportunities for rental housing professionals, it is critical you consider boosting your range of skills, education level, industry knowledge and networking prowess to increase your chances of landing a position in the property management career. Multifamily employers are looking for someone who is not only responsible, but is the jack of all trades, and you’ll want to be able to prove that not only when you apply, but in the future when you’re looking to rise the corporate ladder. If you’re just now considering a property management career, you’ll want to consider higher education. While the Bureau of Labor Statistics found that the typical education level for entry-level is a high school diploma or equivalent, unless you have a significant amount of relevant experience, it can be pretty difficult to advance down the line without at least an associates or bachelor degree. A bachelor’s in Real Estate or Property Management is the most common, but you might be able to get a foot in the door if you have a degree that has coursework in finance or marketing. Without a degree, you might be able to squeeze your way into the career by starting within an administrative roll and getting different certifications. After some relevant experience in your portfolio, you’ll want to look into the Institute of Real Estate Management (IREM) or National Apartment Association (NAA) certifications to progress from a leasing agent to a property manager. Not having these certifications could become a significant barrier to overcome. The Safe Access for Credit for Multifamily Housing Professionals (SAFC-MHP) certification can also boost your credentials once you’re within the property management career (CIC members get access to this certification for free). If you’re aware of some of your general weaknesses (time management, organization, etc. ), start working proactively to develop stronger skill sets. If you can’t think of anything immediately, consider asking a trusted colleague or superior. Assessing pitfalls within yourself can be one of the most difficult things to do, but fortunately many other successful people have had to go through the same challenges and might be happy to help give you constructive criticism that will lead to positive growth. With experience you’ll slowly work on your weakest skills, and you can always ask your supervisors for advice and feedback. Nothing says you’re more serious about your career than industry knowledge. Knowing what’s happening around the industry not only looks impressive, but it allows you to stay-in-the loop of rental housing trends (both in the industry, and when properties are hiring), helps you discover cheaper or better property alternatives, and enables you to propose cutting-edge marketing strategies the moment you start. Some great property management resources are the NAA’s blog, Multifamily Insider’s Forums and Facebook Group, and (of course) The CIC Blog. While networking is a given, it can be difficult to know where to start if you’re new to the industry. Reach out to your local rental properties and seek out an internship or coffee date. Get active online with property management Facebook and LinkedIn groups. You can also try to connect in-person by talking to your local and state-wide apartment association – many of which have regular mixers and events with opportunities to meet potential colleagues. If you’re currently employed, look out for rental housing tradeshows in your area. 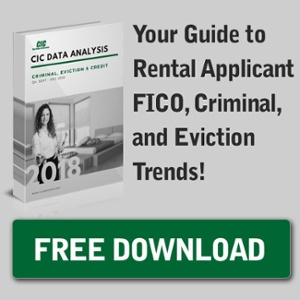 CIC has tons of tips to help you network with both property managers and vendors. Networking is all about the follow-up, so be your confident self and plan to keep up with those you meet. Whether you already have a lot of these key property management career skills and tools in the bag or simply don’t, keep in mind that if you are always trying to grow your skill sets it will lead to good things. No matter what industry you choose to enter in, experience will be your biggest asset. Be patient. You’ll climb the ranks within the multifamily industry in due time.